Publisher: Anyaprokash (Ekushey Book Fair 2005). Himu is one of a most popular character in Bangla Literature. Many time he face many strange and funny events. Sometimes he controlled the events. Everyone knows that he has a prophetic power. Sometimes he can say about future. 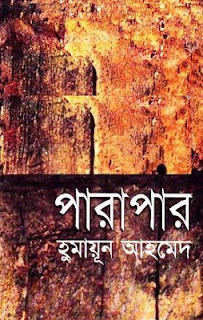 Humayun Ahmed is the creator of Himu. He was born in midnight of 13th November 1948. In 19th July 2012 he died for cancer disease in New York. His father Foyjur Rahman Ahmed helped freedom fighters in the liberation war of Bangladesh in 1971, for that Pakistan Army killed him. To get update every new post of this blog like us on Facebook, follow us on Twitter, join with us on our Facebook Group. Note: More PDF reading will damage your eyes. So if you like this book you should buy the original book from your nearest book shop.